On a recent camping trip, my friends and I decided to go on a hike and get in touch with Mother Nature. After packing a few backpacks with water bottles and healthy snacks, I noticed my friend, Drew, wrapping his digital SLR camera around his neck. Drew is pretty big on photography, so I knew he would bring his camera along. But what I found odd was that all he brought was the camera with its strap - no camera bag or sleeve to make sure his camera was safe. "It'll be fine," he said. We were having a blast while on our hike, until we reached a small creek that had to be crossed to continue. There were plenty of rocks that we could use as stepping stones, and one by one we safely and dryly crossed over to the other side. That is until it was Drew's turn. While hopping from one rock to another, Drew lost his balance and fell, his camera crashing into another rock before landing in the water. After attempting to save his camera, we declared it as a lost cause. A few weeks later, Drew came over to my house to show off his brand new DSLR camera. After witnessing his last camera's demise, my first reaction was "What kind of case did you get for it?" "Oh I don't need one. It'll be fine." Where had I heard that before...? I showed Drew my USA Gear Deluxe dSLR Zoom Bag while explaining that after experiencing what he had, he of all people should realize the importance of a camera bag. Had his camera been in my Deluxe dSLR bag, his camera would have been well protected against crashing into the rock AND being submerged in water. "It's too big for my taste," he said. Well, good thing that Accessory Genie's sister site Bags-Cases.com carries a variety of camera bags and cases to accommodate every photographer's needs! 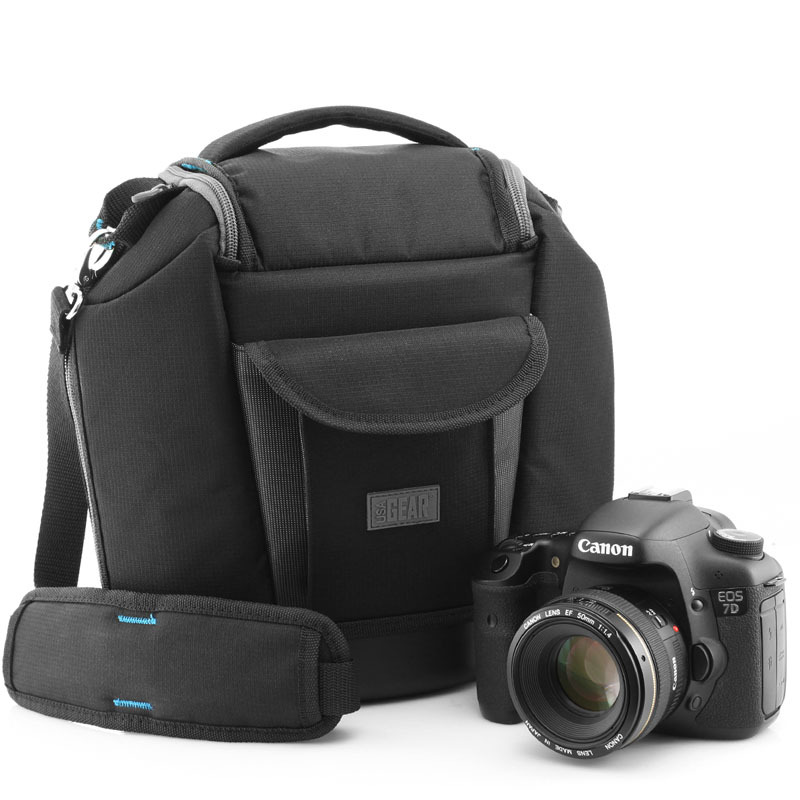 We carry camera bags designed to comfortably and securely hold your dSLR camera and its accessories, without adding extra bulk. 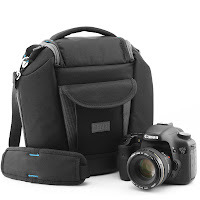 Whether you're looking for a messenger bag, shoulder bag, or backpack, our bags and cases will protect your dSLR camera against drops and falls, rocks and water. In the end, Drew decided to go with the USA Gear dSLR Camera Zoom Holster. Since then, he has slipped and fallen over a fair share of stones and puddles. But his camera has stayed safe and sound! Can't say the same for Drew, though.